Dipl.-Ing. Mag. Dr. Johannes Gartner M.A. Johannes Gartner is an assistant professor at the Institute for Innovation Management (IFI) at the Johannes Kepler University Linz, a post-doctoral researcher at the Department of Management Studies (Entrepreneurship) at Aalto University, Helsinki and lecturer at the University of Applied Science Technikum Wien. Johannes holds a PhD in Social and Economics Science from the Johannes Kepler University Linz, a Diploma in Computer Science from UAS Mittweida, Germany, a Master of Business Administration from WU Vienna University and a Master in Arts and Business in Information Security Management from University of Applied Sciences Upper Austria (Campus Hagenberg). During his extra-occupational studies, Johannes gained professional management experience in international IT companies such as Hewlett Packard. He is co-founder and CEO of a company, specialized in online community building and is the issuer of 3Druck.com, the leading online magazines of additive manufacturing in the German language area. Furthermore, he is the incorporator of GameSurvey, a research project aiming at the application of gamification in research. 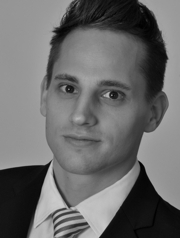 Johannes conducts research in the area of disruptive technologies and research innovations with specialization in additive manufacturing and gamification. Bauer, H.-K., Heller, M., Fink, M., Maresch, D., Gartner, J. Gassner, U.M. and Al-Nawas, B. (2016). Social and legal frame conditions for 3D (and) bioprinting in medicine. International Journal of Computerized Dentistry 19(4): 293-299. Gartner, J., (2016), GameSurvey – Gamifizierte Umfragen für die wissenschaftliche Datenerhebung. Doctoral thesis. Gartner, J., (2016), Database Development and Implementation for the online service GameSurvey. Diploma thesis. Fink, M., Gartner, J (2016). Evidence-Based Innovation Policies for Additive Manufacturing. In Ferscha, A. (Ed.) JKU Production Research: Johannes Kepler University Linz, Austria. Gartner, J., Maresch, D., Fink, M. (2014). Generative Fertigungsverfahren: Technologiefolgenabschätzung, in: IFI JKU Bericht 2014. Linz: IFI – Institute for Innovation Management. Gartner, J. (2016). Wachstumsmarkt 3D-Druck. AM Ceramics 2016. Nürnberg, DE [presenter]. Gartner, J., Maresch, D. and Fink, M. (2015). The Era of GameSurvey – The Potential of Gamification as an Innovative Approach to Data Collection. ISPIM Innovation Summit Brisbane, Australia. 6.-09.12.2015, [presenter]. Gusenbauer, M., Gartner, J., Fink, M. and Maresch, D. (2015) Innovation Offshoring Researchers – Our Diverse Notions, Interests and Insights. ISPIM Innovation Summit, Brisbane, AU, 06.-09.12. Gartner, J. (2015). The Potential of Additive Manufacturing. Business Talk der Wirtschaftsagentur Wien “3D-Druck – Additive Fertigung: Produktion im Wandel”. 3D Innovation.center Vienna, 22.10.2015, [presenter]. Wien.gv.at – public panel discussion: “3D-Druck – Hype oder Revolution”, Wien.gv.at @ Hauptbücherei Wien, 19.10.2015, [moderation]. Gartner, J. (2015). Generative Fertigung in der Ersatzteil Logistik. 6. Niederösterreichischer Logistik Tag, BVL Bundesvereinigung Logistik Österreich, 7.10.2015, [presenter]. 1. Anwendersymposium 3D-Druck Metall: “Generative Fertigung im Werkzeug- und Firmenbau”, FH Oberösterreich, Campus Wels, 2.10.2014, [moderation].